June 9, 2009, Clarksville, Tennessee - Clarksville-Montgomery County Commissioners voted last night to approve $18,000 for an emergency funding that would allow the county’s Airport Authority to remain in operations. Clarksville-Montgomery County Airport Authority Chairman Dr. Ron Whitford and board member Jerry Clark informed county commissioners that they had learned on Friday of a severe cash shortage and that the fiscal state of the authority had been understated by the former airport manager, Pat Ryan. They further reported that in order to continue operations the emergency funding would be needed or they would have to shut the airport down at the end of the week. County Commissioners were also informed that that airport manager had resigned earlier in the day. Clarksville-Montgomery County Airport Authority oversees Outlaw Field Airport a non controlled airport operating on a UNICOM frequency. The airport provides support both private and business aircraft, flight schools and aircraft maintenance facility. 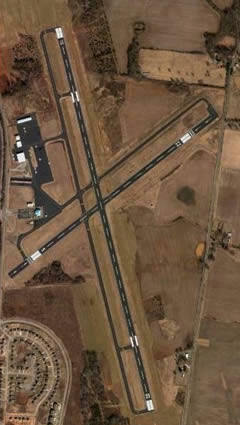 The airport is about 10 miles north of downtown Clarksville and near Fort Campbell. The airport had recently received $350,000 in state stimulus money, money that was going to build a $1.2 million terminal project.